parAsara bhattar – life and glories in thamizh – https://guruparamparaitamil.wordpress.com/2015/07/29/parasara-bhattar/ – new article by ecchUr srInivAsan swamy based https://guruparamparai.wordpress.com/2012/09/11/parasara-bhattar/ . Please visit https://guruparamparaitamil.wordpress.com/2015/03/14/introduction-2/ to see the full list. thiruppaLLiyezhuchchi pAsuram 8 – http://divyaprabandham.koyil.org/index.php/2015/07/thiruppalliyezhuchchi-telugu-8/ based on http://divyaprabandham.koyil.org/index.php/2015/01/thiruppalliyezhuchchi-8-vambavizh/ – telugu translation by shashidhar swamy. Full series at http://divyaprabandham.koyil.org/index.php/2015/06/thiruppalliyezhuchchi-telugu/ . thiruppaLLiyezhuchchi pAsuram 9 – http://divyaprabandham.koyil.org/index.php/2015/07/thiruppalliyezhuchchi-telugu-9/ based on http://divyaprabandham.koyil.org/index.php/2015/01/thiruppalliyezhuchchi-9-ethamil/ – telugu translation by shashidhar swamy. Full series at http://divyaprabandham.koyil.org/index.php/2015/06/thiruppalliyezhuchchi-telugu/ . 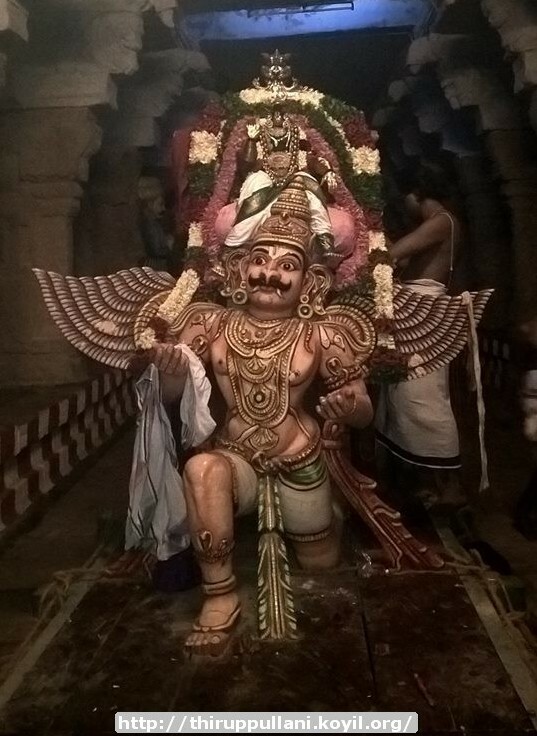 srI vAnamAmalai/thOthAdhri mutt – ponnadikkAl jIyar (1st jIyar of the mutt) thIrtham (day of ascending to paramapadham) – Adi sukla paksha thrayOdhasi (today). His life and glories in multiple languages can be seen at http://acharyas.koyil.org/index.php/ponnadikkal-jiyar/. Mutt’s official website – http://vanamamalai.us. vaduga nambi (Andhra pUrNa) – life and glories in hindi – https://guruparamparaihindi.wordpress.com/2015/07/28/vaduga-nambi/ – new article by bhagavathi ammangar based on https://guruparamparai.wordpress.com/2013/04/01/vaduga-nambi/ . Please visit https://guruparamparaihindi.wordpress.com/2013/08/29/introduction-2/ to see the full list. 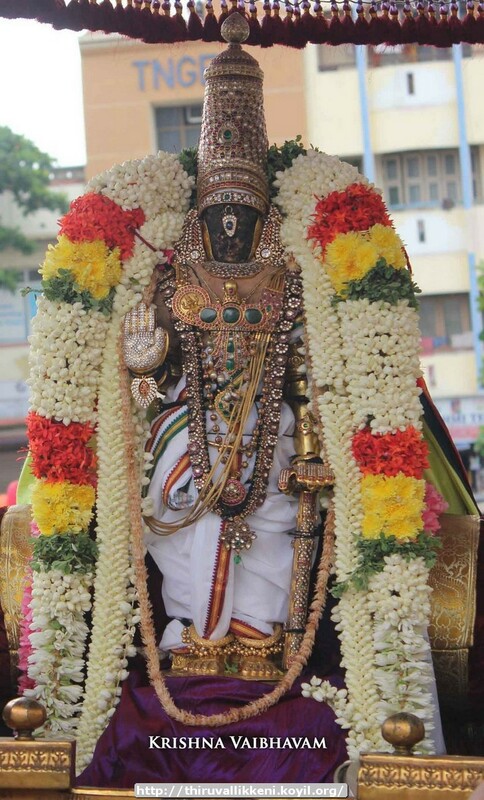 thirunArAyaNapuraththu Ay jananyAchAryar – life and glories in hindi – https://guruparamparaihindi.wordpress.com/2015/07/28/thirunarayanapurathu-ay/ – new article by bhagavathi ammangar based on http://guruparamparai.wordpress.com/2013/04/24/thirunarayanapurathu-ay/ . Please visit https://guruparamparaihindi.wordpress.com/2013/08/29/introduction-2/ to see the full list. srIvaishNava Education Portal – Beginner’s Guide Part 1 – e-book link added in http://pillai.koyil.org/index.php/beginners-guide/ and https://srivaishnavagranthams.wordpress.com/e-books/ . Thanks to parAsaran (pradeep) swamy for preparing the e-book. 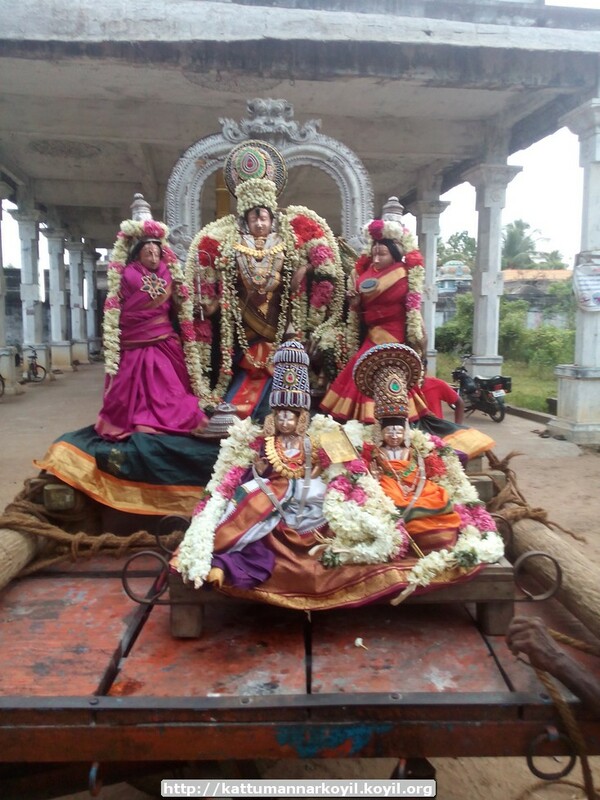 thiruppaLLiyezhuchchi pAsuram 7 – http://divyaprabandham.koyil.org/index.php/2015/07/thiruppalliyezhuchchi-telugu-7/ based on http://divyaprabandham.koyil.org/index.php/2015/01/thiruppalliyezhuchchi-7-antharaththu/ – telugu translation by shashidhar swamy. Full series at http://divyaprabandham.koyil.org/index.php/2015/06/thiruppalliyezhuchchi-telugu/ . 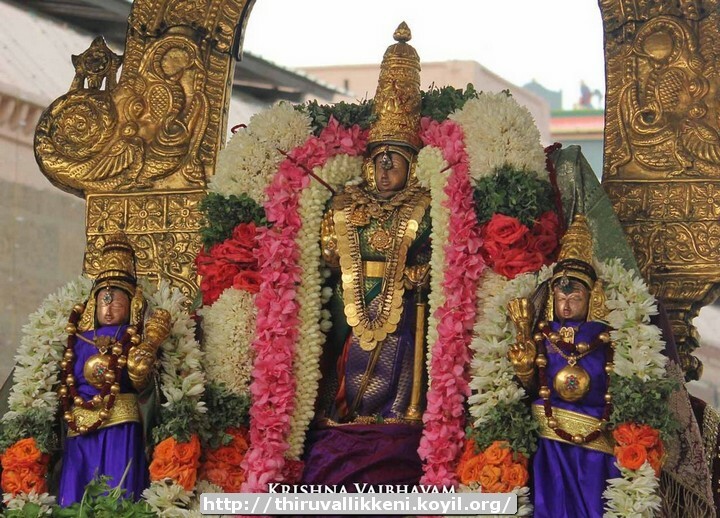 thiruvAimozhi 1.4.8 – nIyalaiyE siRupUvAy – http://divyaprabandham.koyil.org/index.php/2015/07/thiruvaimozhi-1-4-8-niyalaiye-sirupuvay/ . Full series can be viewed at http://divyaprabandham.koyil.org/?page_id=23 . gyAna sAram (hindi) – 35th pAsuram till end, published at http://divyaprabandham.koyil.org/index.php/2014/11/gyana-saram-hindi/. Thanks to T S lakshminarasimhan swamy for publishing the same. 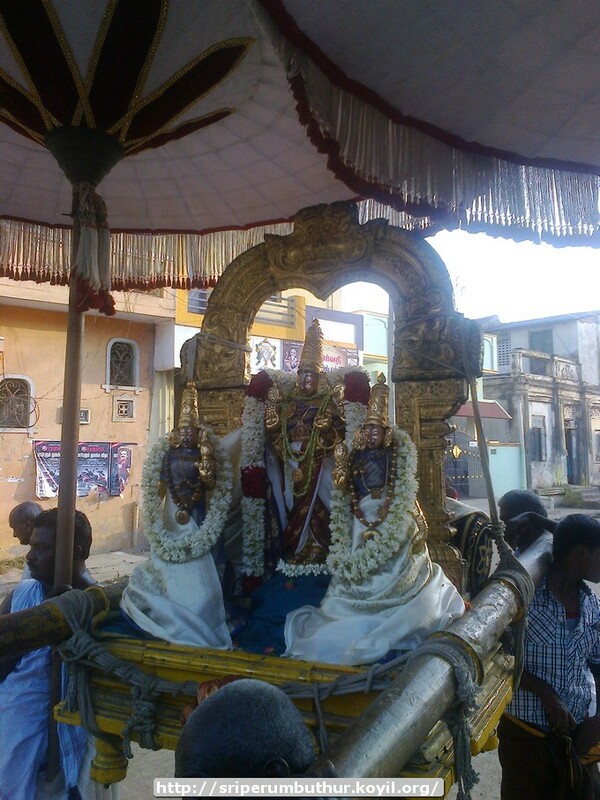 guru paramparai – kOyil kanthAdai appan – life and glories in thamizh – https://guruparamparaitamil.wordpress.com/2015/07/14/koyil-kandhadai-appan/ – new article by ecchUr srInivAsan swamy based on http://guruparamparai.wordpress.com/2013/09/30/koil-kandhadai-appan/ . Please visit https://guruparamparaitamil.wordpress.com/2015/03/14/introduction-2/ to see the full list. thiruvAimozhi 1.3 – English – e-book link available a http://divyaprabandham.koyil.org/index.php/2015/03/thiruvaimozhi-1st-centum/ and https://srivaishnavagranthams.wordpress.com/e-books/. Thanks to parAsaran (pradeep) swamy for preparing the e-book. rAmAnusa nURRanthAdhi avathArikai (introduction) – http://divyaprabandham.koyil.org/index.php/2015/07/ramanusa-nurranthadhi-introduction/ – English translation by raghurAm swamy. Full series can be viewed at http://divyaprabandham.koyil.org/index.php/2015/07/ramanusa-nurranthadhi/ . 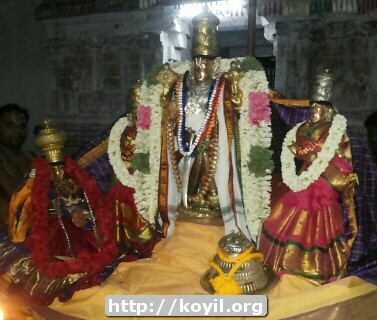 thiruppaLLiyezhuchchi pAsuram 1 – http://divyaprabandham.koyil.org/index.php/2015/07/thiruppaliyezhuchchi-telugu-1/ based on http://divyaprabandham.koyil.org/index.php/2014/12/thiruppalliyezhuchchi-1-kathiravan/ – telugu translation by shashidhar swamy. Full series at http://divyaprabandham.koyil.org/index.php/2015/06/thiruppalliyezhuchchi-telugu/ . guru paramparai – periya nambi – life and glories in thamizh – https://guruparamparaitamil.wordpress.com/2015/07/14/periya-nambi/ – new article by renga rAmAnujam swamy based on http://guruparamparai.wordpress.com/2012/09/01/periya-nambi/. Please visit https://guruparamparaitamil.wordpress.com/2015/03/14/introduction-2/ to see the full list. thiruvAimozhi 1.4.3 – vidhiyinAl pedai – http://divyaprabandham.koyil.org/index.php/2015/07/thiruvaimozhi-1-4-3-vidhiyinal-pedai/ . Full series can be viewed at http://divyaprabandham.koyil.org/?page_id=23. rAmAnusa nURRanthAdhi thaniyans – http://divyaprabandham.koyil.org/index.php/2015/07/ramanusa-nurranthadhi-thaniyans/ – English translation by raghurAm swamy. Full series can be viewed at http://divyaprabandham.koyil.org/index.php/2015/07/ramanusa-nurranthadhi/ . thiruvAimozhi 1.4.2 – enseyya thAmaraikkaN – http://divyaprabandham.koyil.org/index.php/2015/07/thiruvaimozhi-1-4-2-enseyya-thamaraikkan/ . Full series can be viewed at http://divyaprabandham.koyil.org/?page_id=23. 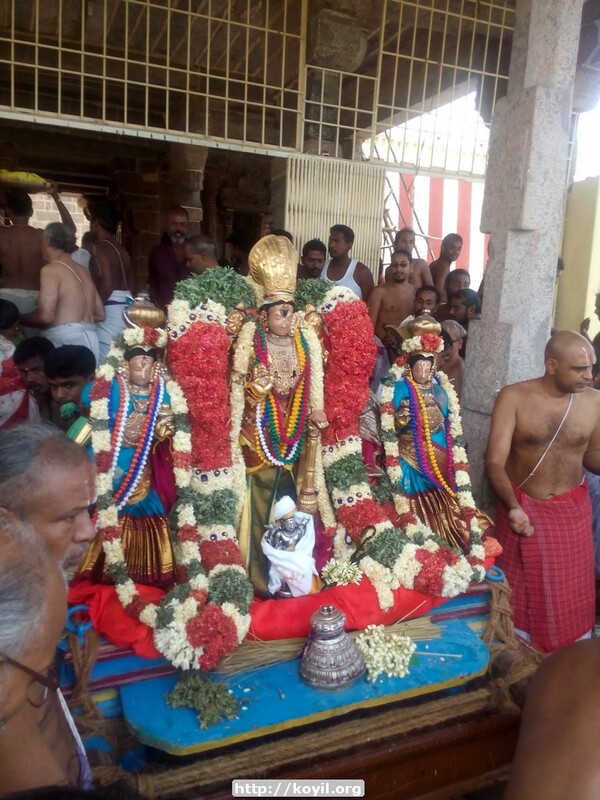 Commencement of thiruvarangaththu amudhanAr’s rAmAnusa nURRanthAdhi – http://divyaprabandham.koyil.org/index.php/2015/07/ramanusa-nurranthadhi/ – English translation by raghurAm swamy. viLAnchOlap piLLai – life and glories in hindi – https://guruparamparaihindi.wordpress.com/2015/07/13/vilancholai-pillai/ – new article by bhagavathi ammangar based on https://guruparamparai.wordpress.com/2015/05/29/vilancholai-pillai/ . Please visit https://guruparamparaihindi.wordpress.com/2013/08/29/introduction-2/ to see the full list. dhivya prabandham – thiruvezhukURRirukkai section 13 (concluding part) – http://divyaprabandham.koyil.org/index.php/2015/07/thiruvezhukurrirukkai-13/ – translated by raghurAm swamy. Full series can be viewed at http://divyaprabandham.koyil.org/?p=2030 . 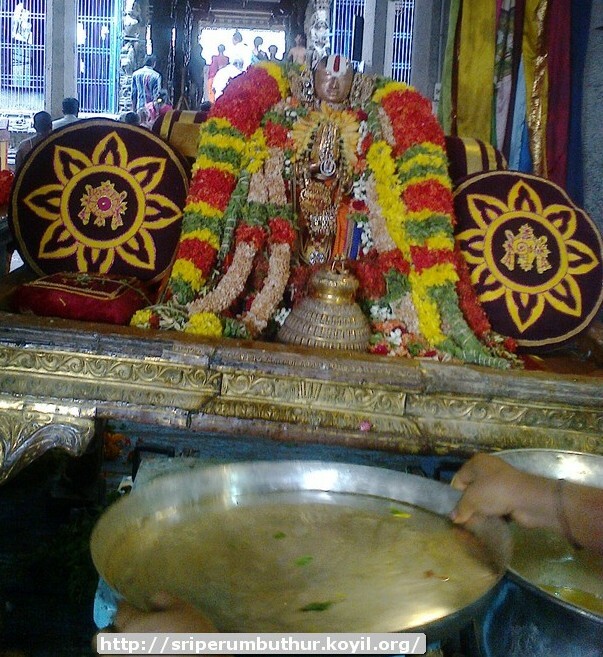 thiruvAimozhi 1.4.1 – anjiRaiya madanArAy – http://divyaprabandham.koyil.org/index.php/2015/07/thiruvaimozhi-1-4-1-anjiraiya-madanaray/ . Full series can be viewed at http://divyaprabandham.koyil.org/?page_id=23. thiruvezhukURRirukkai section 12 – http://divyaprabandham.koyil.org/index.php/2015/07/thiruvezhukurrirukkai-12/ – translated by raghurAm swamy. Full series can be viewed at http://divyaprabandham.koyil.org/?p=2030 . gyAna sAram (hindi) – upto 23rd pAsuram published at http://divyaprabandham.koyil.org/index.php/2014/11/gyana-saram-hindi/. Thanks to T S lakshminarasimhan swamy for publishing the same. This entry was posted in Uncategorized on July 12, 2015 by Sarathy Thothathri. thiruvAimozhi 1.4 – anjiRaiya – http://divyaprabandham.koyil.org/index.php/2015/07/thiruvaimozhi-1-4-anjiraiya/ . Full series can be viewed at http://divyaprabandham.koyil.org/?page_id=23. thiruvezhukURRirukkai section 9 – http://divyaprabandham.koyil.org/index.php/2015/07/thiruvezhukurrirukkai-9/ – translated by raghurAm swamy. Full series can be viewed at http://divyaprabandham.koyil.org/?p=2030 . thiruvezhukURRirukkai section 10 – http://divyaprabandham.koyil.org/index.php/2015/07/thiruvezhukurrirukkai-10/ – translated by raghurAm swamy. Full series can be viewed at http://divyaprabandham.koyil.org/?p=2030 . thiruvezhukURRirukkai section 11 – http://divyaprabandham.koyil.org/index.php/2015/07/thiruvezhukurrirukkai-11/ – translated by raghurAm swamy. Full series can be viewed at http://divyaprabandham.koyil.org/?p=2030 . Full listing of guru paramparai – organized by Month/star wise – http://acharyas.koyil.org/index.php/full-list/ – prepared by rAmAnujan swamy. Every day, we can look up this list and remember the AchAryas having thirunkashathram on that day. thiruvezhukURRirukkai section 6 – http://divyaprabandham.koyil.org/index.php/2015/07/thiruvezhukurrirukkai-6/ – translated by raghurAm swamy. Full series can be viewed at http://divyaprabandham.koyil.org/?p=2030 . thiruvezhukURRirukkai section 7 – http://divyaprabandham.koyil.org/index.php/2015/07/thiruvezhukurrirukkai-7/ – translated by raghurAm swamy. Full series can be viewed at http://divyaprabandham.koyil.org/?p=2030 . thiruvezhukURRirukkai section 8 – http://divyaprabandham.koyil.org/index.php/2015/07/thiruvezhukurrirukkai-8/ – translated by raghurAm swamy. Full series can be viewed at http://divyaprabandham.koyil.org/?p=2030 . 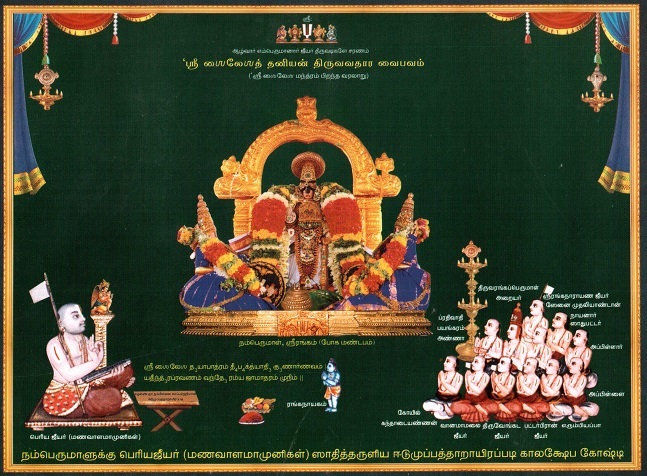 guru paramparai – ALavandhAr – life and glories in thamizh – https://guruparamparaitamil.wordpress.com/2015/07/08/alavandhar/ – new article by renga rAmAnujam swamy based on https://guruparamparai.wordpress.com/2012/09/01/alavandhar/. Please visit http://guruparamparai.wordpress.com/2012/08/25/manakkal-nambi/ to see the full list. 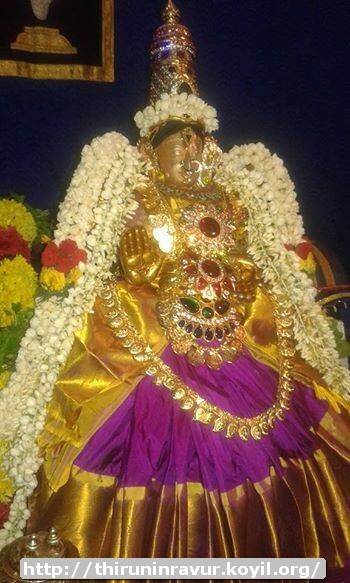 thiruvAimozhi 1.3.11 – amarargaL thozhuthu – http://divyaprabandham.koyil.org/index.php/2015/07/thiruvaimozhi-1-3-11-amarargal-thozhuthu/ . Full series can be viewed at http://divyaprabandham.koyil.org/index.php/thiruvaimozhi/ . thiruvezhukURRirukkai section 5 – http://divyaprabandham.koyil.org/index.php/2015/07/thiruvezhukurrirukkai-5/ – translated by raghurAm swamy. Full series can be viewed at http://divyaprabandham.koyil.org/?p=2030 . thiruppaLLiyezhuchchi avathArikai telugu – http://divyaprabandham.koyil.org/index.php/2015/07/thiruppalliyezhuchi-telugu-avatharikai/ based on http://divyaprabandham.koyil.org/index.php/2014/12/thiruppalliyezhuchchi-introduction-avatharikai/ – translated by shashidhar swamy. Full series at http://divyaprabandham.koyil.org/index.php/2015/06/thiruppalliyezhuchchi-telugu/ . thiruvAimozhi 1.3.10 – thuyakkaRu mathiyil – http://divyaprabandham.koyil.org/index.php/2015/07/thiruvaimozhi-1-3-10-thuyakkaru-mathiyil/. Full series can be viewed at http://divyaprabandham.koyil.org/index.php/thiruvaimozhi/ . thiruvAimozhi 1.2 – English – e-book link available a http://divyaprabandham.koyil.org/index.php/2015/03/thiruvaimozhi-1st-centum/ and https://srivaishnavagranthams.wordpress.com/e-books/. Thanks to parAsaran (pradeep) swamy for preparing the e-book. https://guruparamparai.wordpress.com/2012/11/02/kura-kulothama-dhasar/ . Please visit https://guruparamparaihindi.wordpress.com/2013/08/29/introduction-2/ to see the full list. 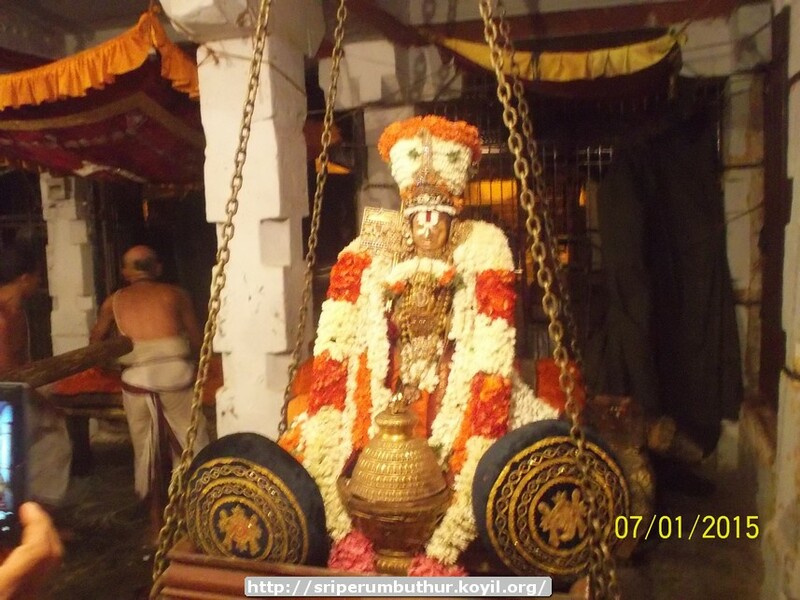 dhivya prabandham – thiruvAimozhi 1.3.9 – valaththanan thiripuram – http://divyaprabandham.koyil.org/index.php/2015/07/thiruvaimozhi-1-3-9-valaththanan-thiripuram/ . Full series can be viewed at http://divyaprabandham.koyil.org/index.php/thiruvaimozhi/ . nAyanArAchchAn piLLai – life and glories in hindi – https://guruparamparaihindi.wordpress.com/2015/07/05/nayanarachan-pillai/ – new article by bhagavathi ammangar based on https://guruparamparai.wordpress.com/2013/04/21/nayanarachan-pillai/ . Please visit https://guruparamparaihindi.wordpress.com/2013/08/29/introduction-2/ to see the full list. thiruvAimozhi 1.3.8 – nALum ninRadu – http://divyaprabandham.koyil.org/index.php/2015/07/thiruvaimozhi-1-3-8-nalum-ninradu/. Full series can be viewed at http://divyaprabandham.koyil.org/index.php/thiruvaimozhi/ . thiruvAimozhi 1.1 – English – e-book link available a http://divyaprabandham.koyil.org/index.php/2015/03/thiruvaimozhi-1st-centum/ and https://srivaishnavagranthams.wordpress.com/e-books/. Thanks to parAsaran (pradeep) swamy for preparing the e-book. 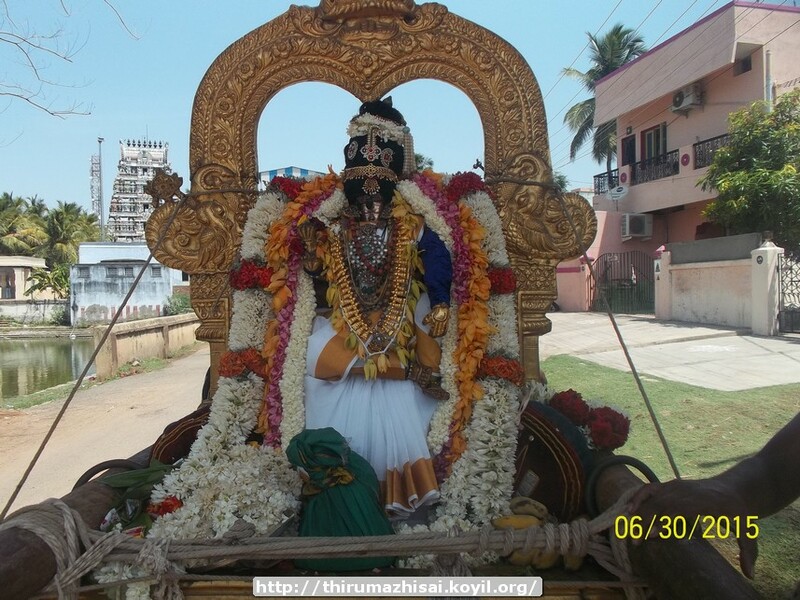 azhagiya maNavALap perumAL nAyanAr – life and glories in hindi – https://guruparamparaihindi.wordpress.com/2015/07/04/azhagiya-manavala-perumal-nayanar/ – new article by bhagavathi ammangar based on https://guruparamparai.wordpress.com/2012/12/15/azhagiya-manavala-perumal-nayanar/ . Please visit https://guruparamparaihindi.wordpress.com/2013/08/29/introduction-2/ to see the full list. dhivya prabandham – thiruvAimozhi 1.3.7 – onRenap palavena – http://divyaprabandham.koyil.org/index.php/2015/07/thiruvaimozhi-1-3-7-onrenap-palavena/ . Full series can be viewed at http://divyaprabandham.koyil.org/index.php/thiruvaimozhi/ . This entry was posted in Uncategorized on July 5, 2015 by Sarathy Thothathri. dhivya prabandham – thiruvezhukURRirukkai section 4 – http://divyaprabandham.koyil.org/index.php/2015/07/thiruvezhukurrirukkai-4/ translated by raghurAm swamy. Full series can be viewed at http://divyaprabandham.koyil.org/?p=2030 . Telugu translation for thoNdaradippodi AzhwAr’s thiruppaLLiyezhuchchi thaniyans – http://divyaprabandham.koyil.org/index.php/2015/06/thiruppalliyezhuchi-telugu-thaniyans/ based on http://divyaprabandham.koyil.org/index.php/2014/12/thiruppalliyezuchchi-thaniyans/ . Full series at http://divyaprabandham.koyil.org/index.php/2015/06/thiruppalliyezhuchchi-telugu/ .